If you want to relax yourself from the hectic work then this would be the zone in which you can relish and sort out your tiredness in this zone of gaming. Everybody loves gaming from childhood till old age and people play lots of games from different categories such as action & arcade, sports, puzzles, entertainment, education and many more. In these days there are amazing demands of the games which are entailed with the Smartphones as these can be played by downloading the gaming apps from the app store. It comes in different categories like Education, Puzzles, Entertainment, Action, Sports and many more. There are lots of different gaming apps for Android which is played through the Smartphones. 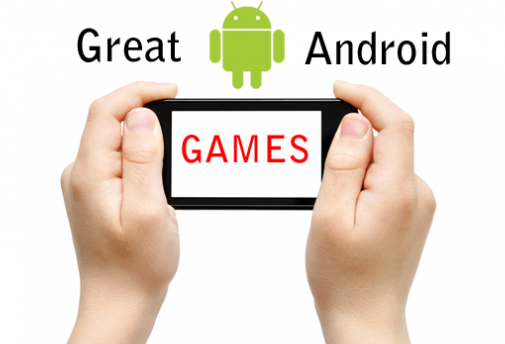 Below are some of the gaming apps for Android. Cut the Rope: This is an amazing game for the Android users which has the special character Om Nom and the work is to cut the candies and deliver to Om Nom and can collect the stars which can unlock the new levels. The features are as simple as it has six stages with 150 levels with tremendous graphics and enabled with superpowers. You can get the whole new experience of gaming with cut the rope and can get the constant updates of new levels. Angry Birds Star Wars: This game is the most dominated adventurous game on the market as it hauls over the life of birds. In this game you face through the legendary Star Wars and it has lots of hidden goodies and secrets for the further levels. It has 80 levels with amazing locations and a new havoc gameplay. It has lots of weapons to destroy the Pigtroopers. You will come across the astonishing levels like Death Vader, Dark Lord from the Pigs caravan. Asphalt 7: Heat: This is the amazing world of racing with all new graphics and stunning quality of sound. Hit the streets with the speed and amazing locations. You can say this is the fastest edition of Asphalt series with stunning effects. In this game you have 60 different cars such as Ferrari, Aston Martin, Lamborghini and DeLorean. It also 15 exhilarating tracks around the world. This game has 6 amazing modes with 150 power packed races in 15 different leagues. Scramble: This is a simple and exciting game which is based on the words as it depends on your logical thinking as you need to find the possible words before time runs you out. This is a fun loving game as you cross the levels with forming different words you can earn tokens. This is fast and tactical game which is on a fast pace with amazing challenges and a round for two minutes. The player with the highest points wins the game and can achieve the progress to the next level with power-ups and points. Tetris: This is also an amazing game for the fun lovers as it is liked by thousands of people around the world. You will get a stunning experience of playing the game with a catchy remix of Tetris. This game is of awesome levels which speed up while you go to the further levels. This is the most downloaded game ever and played with full of excitement. The mare you play the game the more you improve the score and can proceed for the further levels. The above games are the amazing games which are specially designed for Android Smartphones and can be about fun and worth buying. If you wish to play you can also download from the amazing Google Play store and can enjoy. Author Bio: This guest post is contributed by Diana Koral who is a passionate guest blogger from Manchester. Apart from blogging, she does research on cash payday. Reach her @financeport on twitter.